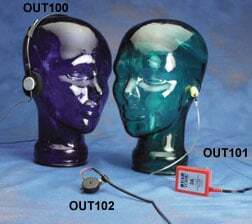 These monaural headphones can be used with the STM100C stimulator module to deliver a tone signal while recording data for startle response or other stimulus-response studies. 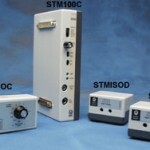 The headphones can also be used to listen to raw signals (such as EMG), piped through the STM100C from an amplifier output. The OUT100 is a wide response, high efficiency headphone, weighing 85 grams and is equipped with a 1.8 meter cord terminated in a 6.3 mm (1/4″) phone plug.